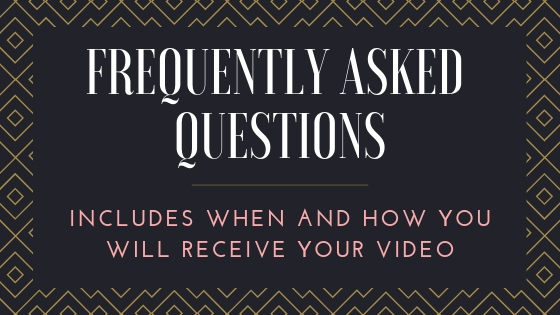 Please make sure you read over the frequently asked questions regarding custom videos and pictures. Also, for videos outside, when detailing outfit specifics, please be mindful of our current weather conditions here in Birmingham –> see them here. Please fill out ONE custom inquiry form PER VIDEO you are inquiring about! A valid email is required to contact you with questions regarding your custom video. These are currently the only models available for custom videos since I have a set shoot day with each. 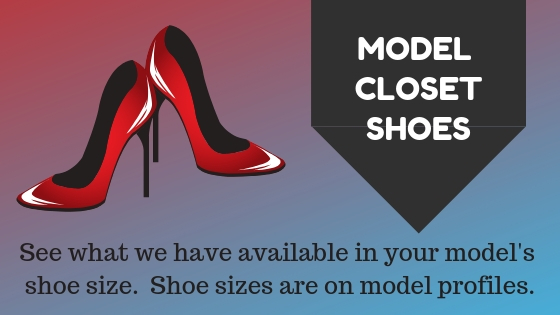 Don't see your model listed? Click here. The VCL Media Player will play all media types, including MP4's, which is the default file format used for Fanta Production's videos now. "High Definition MP4" is selected by default. See video resolutions and bitrates for these options here. This section is for outfit items ONLY. If you put camera angles or storyline info here, you will be asked to resubmit the form properly. This is any and everything she has to wear or do to her appearance that is specific to your video (clothes, shoes, accessories, hair, makeup, jewelry, etc.). Please note: if it is not listed in this section, I will not tell the model to bring the item. This is what I copy and paste to her when making out an outfit list of items for her to bring to the shoot. If the outfit is not important, please make a note of that. If you have links to uploaded pictures that better show what you're referring to with outfit elements, those would be very helpful (but aren't required). You can upload images on Post Image's website. This section is for camera angle information ONLY. If you put outfit stuff or storyline info here, you will be asked to resubmit the form properly. Give me an idea as to which camera angles you want for your video. If your camera angles are complex and change frequently depending on the story line, you can put "see storyline" and include the details in that section below. If you have links to uploaded pictures that better show the camera angles you want, include those links since they may be helpful in achieving your desired video. You can upload images on Post Image's website, but images are not required. Please note that the information within this form is what I print out and use when filming your video with the model. So it's important to include everything you want in your video - scenes, dialogue, the model's demeanor, etc (see pricing factors). You can be as detailed or as vague as you'd like with your script. If I haven't done a video for you yet, including links to videos that demonstrate what you are referring to can be very helpful, though it's not required. Once payment is received, you cannot make any changes, so please take your time and make sure all the details are included with the first submission. If you need your video or a portion of your video filmed outside, please make sure the outfit is appropriate to our current weater here in Alabama (southern United States). You can see details by clicking the weather link below (opens in a new window). Make sure it is clear, concise, and easy to follow. Questions and comments should be emailed to me before submitted your inquiry and should not included in your script. Your storyline (last section of the form) should only include a layout of what you want to see in the video. If you have a rather involved, multiple-scene or multiple-camera angles video, it is a good idea to start a new paragraph for each so it is easier to follow. Punctuation is helpful too and can completely change the meaning of a sentence if you don't use periods or commas. I'm not going to be a grammar Nazi, but basic punctuation helps make the video clear and concise so it is easier to understand. Feel free to include links to videos online (making sure to note the specific time stamps in that video) that would help demonstrate what you are referring to. This is not required. 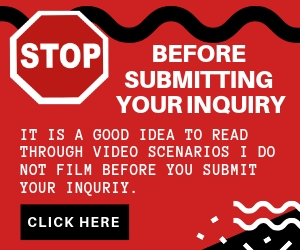 While it is easy to refer to a previously produced custom video and say, "I want a video just like... but with this outfit instead," those types of scripts will be deleted, and you will have to resubmit a more detailed script. I encourage you to reference other videos and include a specific time stamp from that video to emphasize what you are looking for, but I cannot print a video when it comes time to film your custom video. <# } #> amet, Lorem Curabitur ut mattis leo. ipsum libero adipiscing vulputate, ante.